You cannot work in Australia on the basis of your ‘Higher Education Sector Visa (subclass 573)’. Once you graduate, you will need to either choose to study further or go back to India. If you wish to work in Australia, then you will need to change the status of your visa. The amount of time you will get to do this depends on the date your course ended. If your course ended in November or December, that is the end of the Australian academic year, then you will get till the 15th of March of next year to change your visa status to work or extend it to study further. This comes to around 3 – 4 months. If your course ended in any of the months between January – October, then you will get 2 months from the date your course ended to either change the status of your visa or to extend it. WHICH VISA CAN I APPLY FOR IF I DO NOT HAVE A JOB OFFER? If you do not have a job offer by the time you graduate, then you can apply for any of the below mentioned visas. For most of these visas, you would be required to submit an ‘Expression of Interest’ (EOI) through ‘Skillselect’. ‘Skillselect’ is an online service that enables foreign nationals to record their details so as to be considered for a visa that will allow them to migrate to Australia, either temporarily or permanently. On the basis of your EOIs, prospective employers or State/Territory Governments will decide whether to provide you with a nomination or not. Under most circumstances, you will only be eligible for a visa if an employer or Government decides to nominate you (except the Temporary Graduate Visa). Also, most of these visas would require you to get your skills assessed by suitable authorities in order to ensure that you are capable of working in Australia. This visa is for international students who have recently graduated from an Australian university and allows them to work temporarily in Australia. The Graduate Work Stream is for international students who graduate with skills and qualifications related to a particular occupation listed on the ‘Skilled Occupation List’ or the SOL. This stream is meant for students whose studies focus on a particular profession such as Engineers, Accountants, Architects, Teachers, Doctors etc. Qualifications like Diplomas and Graduate Diplomas are also accepted in this stream. T o apply for the Temporary Graduate Visa (subclass 485) through this stream, you will need to get your skills related to your profession assessed so as to be considered eligible. Through this stream, you will be allowed to stay and work in Australia for a maximum period of 18 months from the date of your grant. The Post – Study Work Stream applies to all internationals students who graduate from an Australian university, regardless of their field of study. As a graduate, you will be allowed to stay and work in Australia for a maximum period of 2 years through this visa stream. 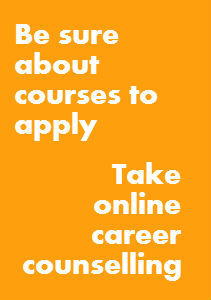 You need not get your skills assessed if you wish to apply through this stream. 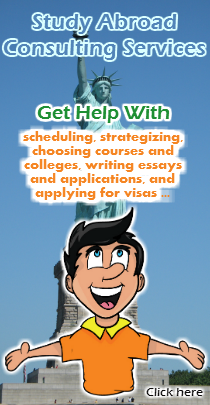 For this visa (any stream), you will need to prove that you currently hold an eligible student visa. The ‘Higher Education Sector Visa (subclass 573)’ which is applicable to all students coming to study Bachelor/Master degree level courses in Australia, is considered to be an eligible visa. This visa is meant for people who wish to stay in Australia and work and study as skilled workers in particular regional areas of Australia for a period of up to 4 years. There are 2 pathways to this visa, out of which only 1, i.e. the ‘Invited Pathway’ is applicable to international students who wish to stay in Australia after completing their graduation. If you receive an invitation to apply for the visa after submitting your Expression of Interest, then you should do within a period of 60 days from the date you received the invitation. This is a points based visa, so make sure you have score the minimum number of points required as mentioned in your Letter of Invitation. This is a permanent residency visa that is for skilled workers who wish to work and live in Australia. It allows people to indefinitely work and live in Australia. If your EOI is accepted, then you will be asked to apply for the visa. You must do this within 60 days of receiving the invitation to apply. For this visa, you will need to get your skills assessed and score the minimum number of required points as well as provide your biometric information, health records etc. This is a permanent residency visa that is for skilled workers who wish to live and work in Australia provided that they have been nominated by a State or a Territory Government (Australian). It allows people to live and work in Australia indefinitely. Just like the ‘Skilled – Independent Visa (subclass 189)’, you will need to get your skills assessed and score the minimum number of points mentioned on your letter of invitation. If after submitting your EOI, you receive an invitation to apply for the visa, then you must do so within a period of 60 days from the date you received the invitation. WHICH VISA CAN I APPLY FOR IF I HAVE A JOB OFFER? If you have a job offer by the time you graduate, then you apply for any of the below mentioned visas. The ‘Employer Nomination Scheme Visa (subclass 186)’ is a work – visa that is for skilled workers who wish to work in Australia. For this visa, you will have to find an employer who is willing to hire you. Your employer will have to nominate you online. You will be granted this visa if your nomination is approved. The gap between your employer filing your nomination and your visa application should be not be more than 6 months. This visa has 3 streams, out of which the ‘Direct Entry Scheme’ and the ‘Agreement Scheme’ are applicable to international students who wish to remain inside Australia and start working. To apply through this stream, you will need to be nominated by an employer. Also, you will be required to prove your English language proficiency by submitting your IELTS or OET results. You will also need to get your skills assessed by a relevant authority mentioned in the ‘Consolidated Sponsored Occupation List’ or CSOL. This stream is applicable for people sponsored by an employer through a labour agreement. For this stream, you will need to meet the requirements and eligibility criteria as mentioned in the agreement drafted between you, your employer and the Australian Government. A labour agreement will only be drafted when there is a genuine shortage of skilled workers for that occupation in Australia provided that at the time of nomination, there are no suitable Australian candidates available for that job. The ‘Regional Sponsored Migration Scheme Visa (subclass 187)’ is very similar to the ‘Employer Nomination Scheme Visa (subclass 186)’. However, there is one primary difference. The Regional Sponsored Migration Scheme Visa (subclass 187) is only applicable to people who have been nominated by an employer to work in ‘Regional Australia’. This means that your work should be located in any place within Australia outside of the Gold Coast, Brisbane, Newcastle, Sydney, Wollongong and Melbourne. Just like the Employer Nomination Scheme Visa (subclass 186), this visa also has 3 streams out of which only 2 are applicable to international students. These 2 streams are the ‘Direct Entry Stream’ and the ‘Agreement Stream’. The conditions and requirements for these streams are more or less similar to the ones mentioned for the Employer Nomination Scheme Visa (subclass 186). The ‘Temporary Work (Long Stay Activity) Visa (subclass 401)’ is for people who want to come to Australia under any of the 4 streams: Exchange Stream, Sports Stream, Religious Worker and Domestic Worker. This visa allows people to stay and work in Australia for a maximum period of 2 years. Out of the 4 streams, only the ‘Sports Stream’ and ‘Religious Worker’ stream are applicable to students who wish to stay in Australia after finishing their Bachelor’s degree. Under the Sports stream, you can be a member of a team, or a member of the support staff. You can also coach or judge a sporting competition. Under the Religious Worker stream, you will be a full – time religious worker for a religious organization in Australia. For this visa, you will need to be nominated by an approved ‘Sponsor’ for a particular position. Also, you will need to show proof of your financial ability to fund yourself while you are in Australia. You cannot apply for this visa is your student visa has a ‘No Further Stay’ condition. This visa is meant for people who wish to work in Australia as skilled workers in an approved business for a maximum of period of 4 years. To apply for this visa, you will need to be nominated by an approved sponsor for a particular position provided that your sponsor could not find an Australian national for that particular occupation. To be nominated, you will need to submit an Expression of Interest. You cannot apply for this visa if your student visa had a ‘No Further Stay’ condition.